Plug Schedule Engine into your field service management systems and instantly change how your customers think about you. Just imagine offering your home services customers smart online repair and sales scheduling. Picture a system that automatically confirms their appointments through both text and voice. And what if it could even give your customers an ETA and a virtual introduction to their technician on the day of service? Schedule Engine does all this and much more—all while reducing your cost per appointment. Why do contractors need Schedule Engine? By now, most of us expect to be able to schedule an appointment, or place an order with a few taps or clicks. Schedule Engine lets your customers accurately book their own services based on your actual availability from your website, through your own custom mobile app, or right from your social media pages. In your world, the Schedule Engine dashboard keeps your dispatchers in control at every step. Automated text and voice confirmations show your customer that you value their time, while saving time for your CSRs, and cutting down on wasted trips for your techs. 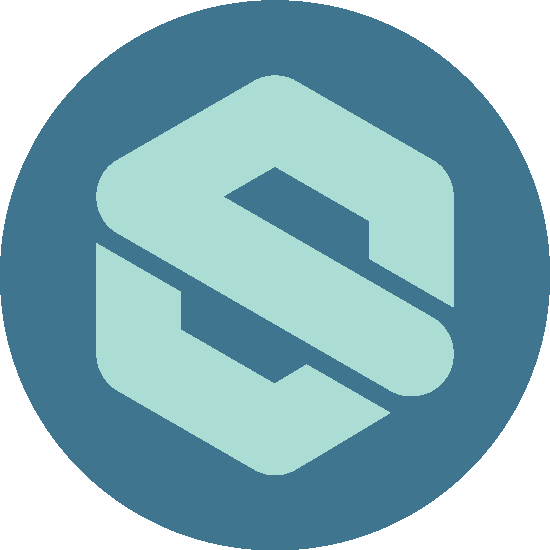 On the day of service, by simply watching for changes in job status, Schedule Engine keeps your customers in the know and up to speed—even going so far as to provide technician tracking and profiles, invoices and payments, and even reviews. When you can consistently deliver a crisp, connected and professional experience, your customers will take notice. They will stick around and furthermore, they’ll spread the word to friends and family. These trusted recommendations are far and away the most effective way to win new customers. Schedule Engine sets you up to give your customers the convenience and visibility they now expect to have through their devices. One of our plumbing techs just left a customer’s house who’d scheduled their appointment online. The customer praised the scheduling option the entire time our tech was there. He said it was super easy and made him feel in control. The time and detail your team has poured into Schedule Engine is being seen now by our customer base and they love it! 97% of consumers search for local contractors online. It is absolutely critical for them to be able to schedule right from your website when they get there. Schedule Engine’s custom branded web widget integrates seamlessly into your website so visitors can quickly and easily book your services at any time—without having to make a phone call. Booking from your mobile app. Many of your loyal customers would love to be able to keep access to their favorite contractor just a tap away. 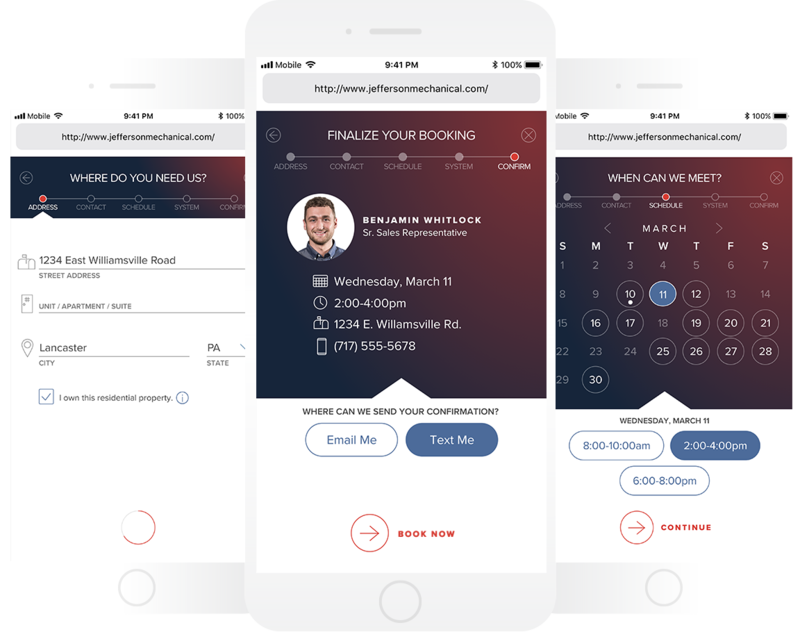 Schedule Engine publishes custom, contractor-branded mobile apps that offer all the same booking and appointment management features we built for the web, but packaged in the convenient, focused experience that only a mobile app can offer. You can literally be in your customer’s pocket, a few taps away from return business. The average person only needs about a tenth of a second to process a visual scene. 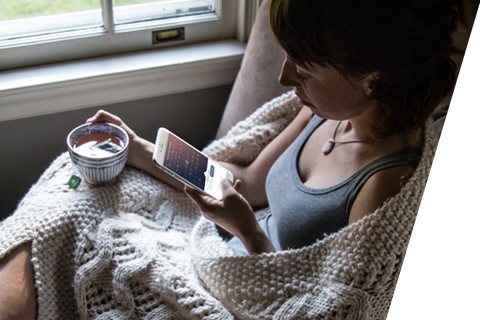 With that in mind, we designed issue selection around a visual “room view,” allowing customers to pick common repairs more immediately than by finding them in a list. This is just one example of the thoughtfulness and research we put into designing a booking flow that your customers will be able to complete quickly and efficiently. See what your customer sees. Most homeowners struggle to accurately describe their issue over the phone—it’s one big reason why they don’t want to call. Schedule Engine makes it simple for them to capture and upload videos and photos, providing you with better information without putting the customer on the spot. Now your customer is more comfortable and your technicians have fewer return visits because you can send the right technician with the right equipment the first time. Schedule Engine looks at actual technician availability to present your customers with a calendar of free time slots for them to choose from. Or if you prefer, you can set scheduling up as requests for first available or a preferred time. However you choose to offer self-service booking to your customers, Schedule Engine was built to be flexible enough to adapt to your business practices and to keep your CSRs and dispatchers in complete control at all times. Your customers have been conveniently confirming their doctor appointments, haircuts, and more by text message for some time now. If your current field management system can’t do this for your service calls, Schedule Engine can help you get with the times. And our text messaging (SMS) and automated voice calling systems don’t just confirm appointments and job site access. You can also use them to remind customers to schedule upcoming seasonal maintenance, notify them that their technician is en route, that the job is done and payment is due, and even prompt for an online review or NPS score. At this point, who hasn’t tracked an order online? We’re all used to being able to click and tap our way to the latest information anytime we want it, whether it’s ride-sharing or pizza delivery. 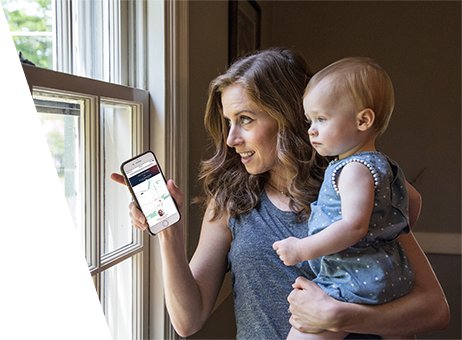 Schedule Engine brings this experience to home services, letting your customers stay connected every step of the way through a virtual appointment card that offers technician tracking and profiles, job status and payments—online or in-app, from anywhere, anytime. How does Schedule Engine work? By creating jobs in your management software, then triggering events based on changes to those jobs, Schedule Engine extends both the inbound and outbound capabilities of the systems you’re already using. When your customers request work through the web widget embedded in your website, or from the mobile app we publish for your business, Schedule Engine’s cloud-based services work with your existing field service management software to automatically create work orders—complete with customer data, job codes and notes. Your personnel can then manage those appointments just as they do today. Schedule Engine is engineered to work the way you do, with minimal impact on your current workflows. Once the job is booked, Schedule Engine keeps your customers informed and engaged every step of the way. By watching for changes in job status in your field service management software, Schedule Engine can automatically confirm appointments, notify customers that their tech is on the way, introduce your customer to the tech coming to their home with a profile, provide monitoring of the GPS location of the van, let them know when their job is complete and even ask for an online review. We book sales for you, too! Transforms your website (and social media) into a self-service booking kiosk, while offering appointment management and tracking for your customers. The contractor’s view into Schedule Engine allows your CSRs and dispatchers to manage and monitor the system and to tailor it to work for your business. Offers similar feature set to the web widget, but packaged in the self-contained ecosystem of an easily accessible smartphone app. 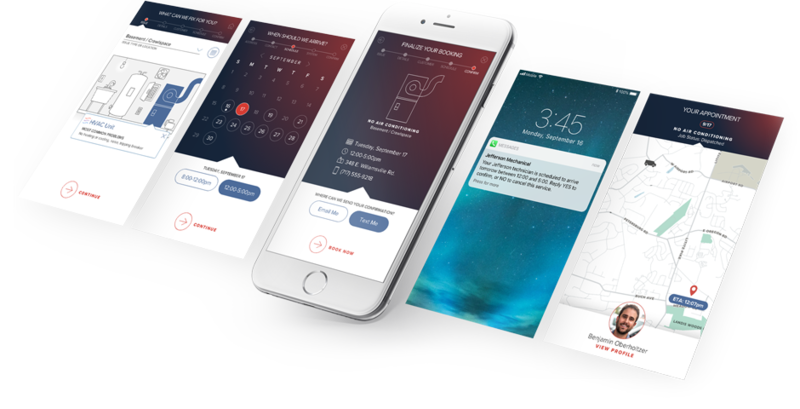 Confirms appointments, alerts customers to status updates, and prompts booking of preventative maintenance calls through text and robo-dial. Takes customer requests from the web widget and mobile app and combines them with customer, site, and personnel data to create work orders in your system. Schedule Engine’s major technologies operate in the cloud. Our integrated service layer lets Schedule Engine interact with your field management software. Sit back, have a sip of your coffee and watch this video about why we made Schedule Engine, how your customers will use it and what it can do for your business. As you know, it’s often the first sales rep to the site that ends up closing the job. This speed-to-lead system breaks down the barriers to booking by delivering a fast, simple scheduling experience. 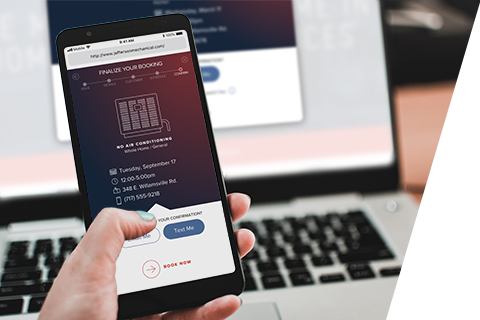 This self-service booking tool allows your customers to schedule an HVAC system consultation online based on the real-time availability of your sales people, even showing who's coming at confirmation. Your CSRs, point-of-sale reps and field technicians can all use this same system to schedule salespeople, even tagging themselves as a referral source to help you track your leads. Don't Forget Live Customer Support Too! Our customer support staff is powered by NATE-certified technicians and expert CS personnel. Build customer loyalty by giving your customers 24/7 access to live expert support. Avoid low-ticket nuisance calls that can be solved via web chat or a phone call. Streamline your customer interactions for greater operational efficiency. Get unparalleled conversion rates through our proprietary diagnostic process. Improve your one-call completion rate with more accurate issue diagnosis. Get the latest on Schedule Engine product development, industry insights and event dates delivered right in your inbox.